Monday I shared some fonts for Thanksgiving. I decided to try my hand at creating a little word art with them for you. Here is my take on Psalms 100. 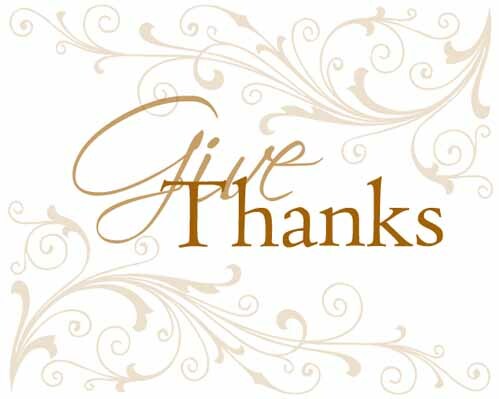 Here is a simple Give Thanks. And here is my attempt at Subway Art. You can get the PDF version in 8x10 size by clicking the links below. I am hosting these files on Dropbox. If you haven't heard of them it is a great online storage you can connect to using any computer. I love it because you don't have to carry a jump drive with you and you can even access files from your smart phone. Best of all, it is free! If you follow this link you can get bonus space, too! Try them out. I can only guarantee links will be up until November 30, 2012 before using that space for new freebies. Hope you are able to use them! 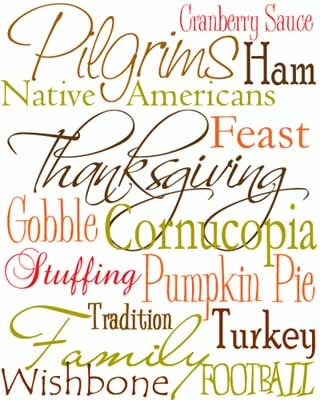 I love the Thanksgiving fonts!!! I so enjoy seeing all of your adventures!!! Cute printables. Thank you for the gift.Partying from Somewhat Simple. Thank you for sharing! I posted a link to your post on my Feature Friday to share with my friends, stop by if you can! Thank you so much for the printables, they look amazing! I'm visiting your from Sumo's Sweet Stuff Linky Party. I am your newest follower on GFC and would love if you could come visit me too at http://sarahsaturdiy.blogspot.com. Have a great weekend! 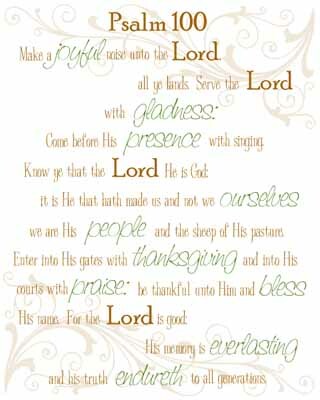 I love it all, but my favorite is Psalm 100! I'm thinking about writing this with my kiddos in a way that makes it more real for them!